Thank you for considering XStudio as a potential solution for your educational needs. You can use our solutions on-premises and have access to the standalone version, our pre-configured VM or a full server version. The second option is better if you want several actors to participate and it is easier to duplicate. 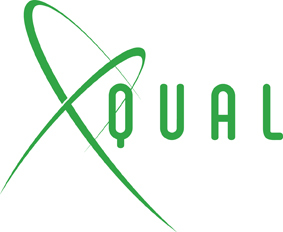 You can download and install from http://www.xqual.com/support/download.html. You have access to a bootstrap on Bootstrap. This is not intended to a be data set for education but you can freely reuse if you need to. And do not hesitate to consult our self-help-desk. What are the limitations in terms of number of tests stored in the DB, I remember it was 500 for "free" version in the past ? it's still the case or not ? What are the limitations in terms of technical support the education version ? Can I imagine to have a presentation/workshop with an Xqual team member in order to speed-up the adoption of the tool ? This is in fact the very purpose for this program..
You can even share teh TP with us. This is not an obligation. For EDU, we provide an unlimited version in terms of number of tests. This is to be renewed annualy. Regarding technical support, we limit our support to real technical questions and bugs. New features request are welcome, but obviously don't commit to anything. For usage support we expect the trainer to be the sole contact. If you want to publish an article/Whitepaper we need to review it to make sure this is in line with our image and our communication policies. If you or your students create a launcher, or a report, or set of requirements/tests, etc. that you wish to share with the community, we can review them and based on our assessment can introduce this in the product.